Integrate JuanTax with your transactions in Xero. 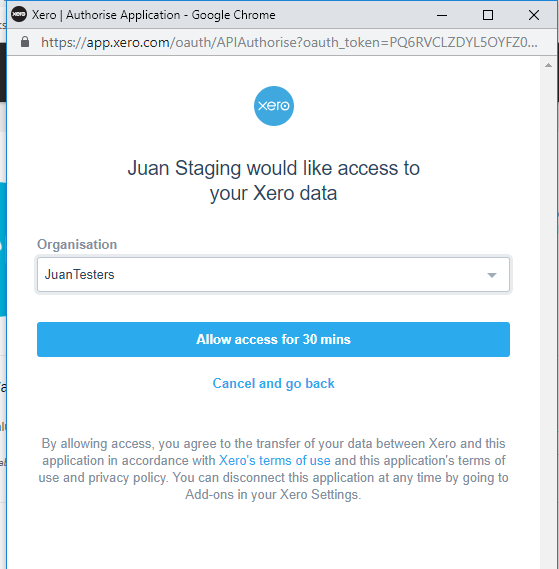 Aside from filing taxes and creating transactions, you can also connect accounting tools such as Xero with JuanTax for a more seamless tax filing. 1. Go to Settings, then proceed to Integration. 2. 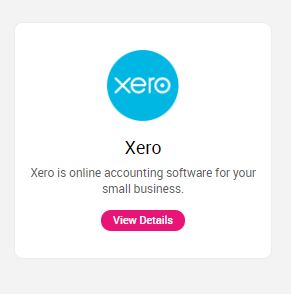 Click the View Details button in the Xero section of the page. 3. 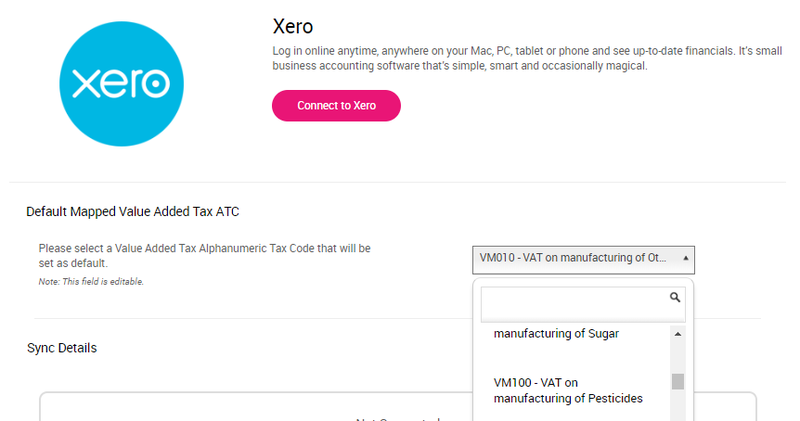 Choose a default mapped VAT ATC (Alphanumeric Tax Code), then click the Connect to Xero button. 4. Choose the Xero organization that you want to connect, then hit the Allow access for 30 minutes button. 5. A message will pop out, saying that your organization is successfully connected to JuanTax. Click the OK button to continue. Note: Please be advised that once you’ve set up this integration, created transactions in Xero will be pushed into JuanTax at around 12 midnight. If you want to update your Transactions Module right away, then you would need to click the refresh icon. Additional Note: Since 2019 transactions are the only ones that will show up within the Transactions Module, expect that you won’t be seeing your past Xero transactions anymore in JuanTax. Only those unpaid transactions from 2018 that was marked as paid in 2019 will be pulled into the tax software.